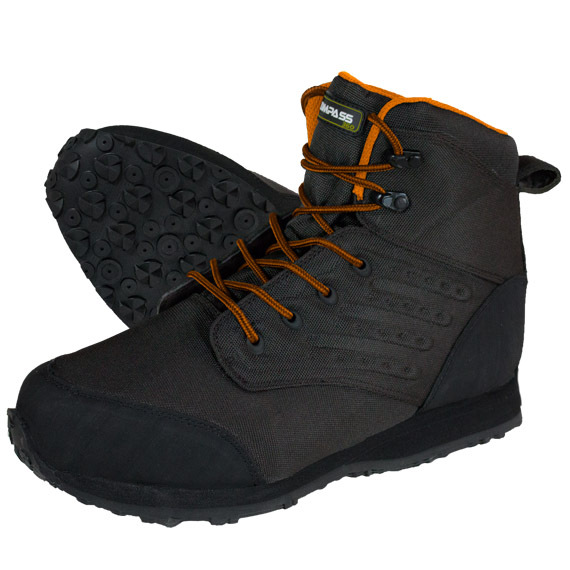 The Tailwater II rubber cleated sole wading shoe with LSG (Locking Stud Grip is the newest style of functional and durable wading shoes from Compass 360. Constructed with a non-shrink nylon and PU upper. Forget losing your studs with the new LSG outsole, with recessed stud placement points. Your steel wading studs will stay in place mile after mile. Designed to be worn with 3.5mm or 4mm neoprene booties there is no need to go up a size with the Tailwater II.